I grew up in Flushing, Queens...just a short distance from Shea Stadium, where the NY Mets played. A self-taught clarinetist, I was good enough to join my junior high school performing band only after 3 months of practice. I continued playing in high school and college performing bands as well as in the orchestra pit for such school productions as "Hello Dolly" and "South Pacific". During balmy New York summer nights, I would often travel to the "city" to see live performances of the Goldman Band in Lincoln Center's Damrosh Park Band shell. I also enjoyed whenever the New York Philharmonic came to perform outdoors at one of the city parks. There I saw my favorite clarinetist of all, Stanley Drucker, who retired in 2009 after playing 60 years with the Philharmonic. AHH...life was musically great growing up in New York City. 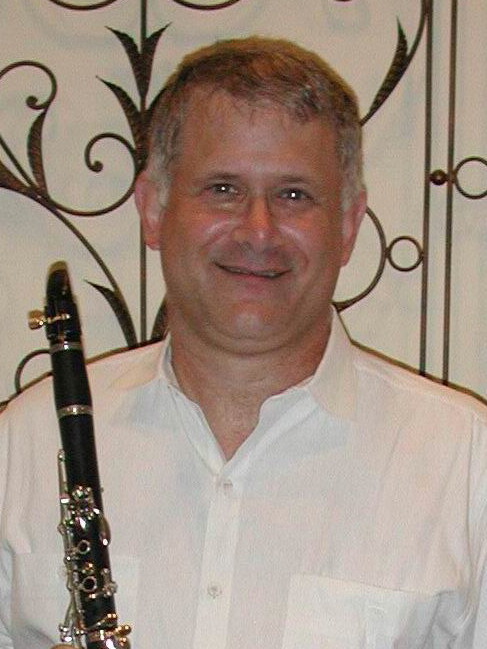 Then a strange thing happened...I stopped playing for about 30 years only, to be reawakened in 2008 by a friend who casually said, "I am in the Town North Band here in Dallas...why don't you come and see if you like it?" So I came, I liked, and kept on coming every week. I realized that I missed that creative part of my life while "keeping my day job" of mechanical engineering analysis. I once missed a band practice when I was at Queens College. That weekend, I looked forward to going to my school's basketball game at the prestigious Madison Square Garden...it was Queens College vs City Univ. At halftime, I noticed at the far court there was a performing band entertaining the 10,000+ fans who came to see the ball game. Being so far up in the stands, I couldn't make out any faces. I was just thinking, "Hey, why isn't my band down there instead?" Well, when I came to our next band rehearsal later that week, they all asked me, "Where were you....didn't you know that we were playing at the our team's halftime?" I had just realized I had missed my one and only opportunity to ever say "I performed at Madison Square Garden".